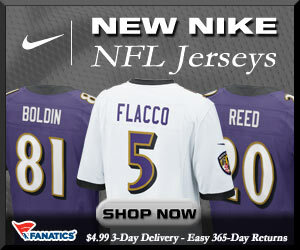 If you have not noticed yet, the Baltimore Ravens jersey have a new look as Nike now makes the NFL jerseys. The contract was formerly held by Reebok. You clan click on the banner below to order your Ravens jersey today.